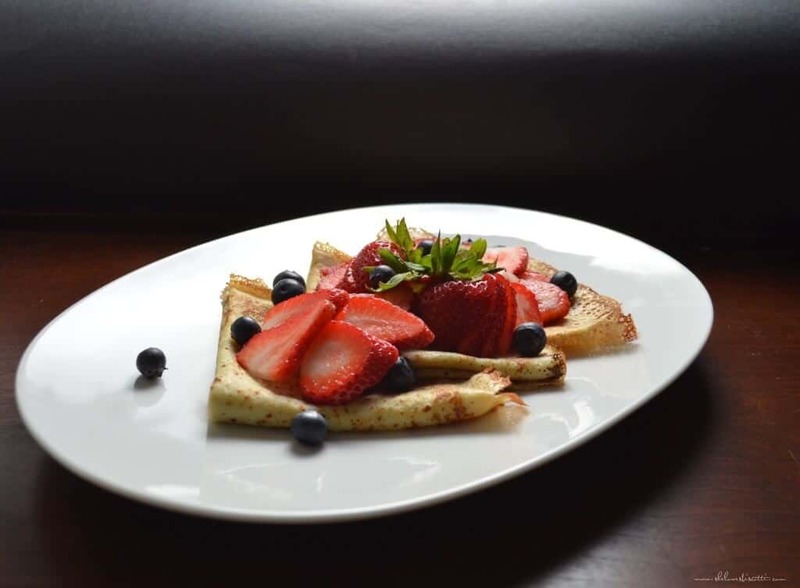 Everyone should have a simple crepe recipe in their personal recipe repertoire. Why? Well, I’m glad you asked. 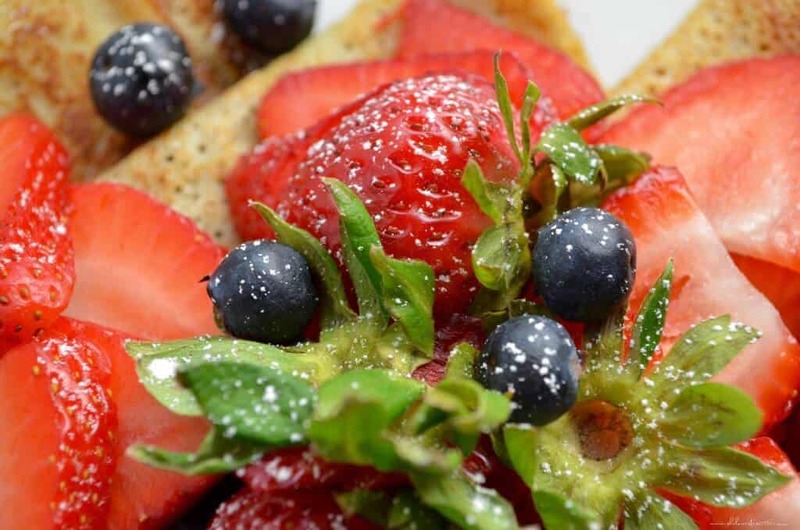 For starters, crepes are really versatile – they can be used in sweet or savoury dishes. You can have them for breakfast, lunch, supper, or anytime in between. 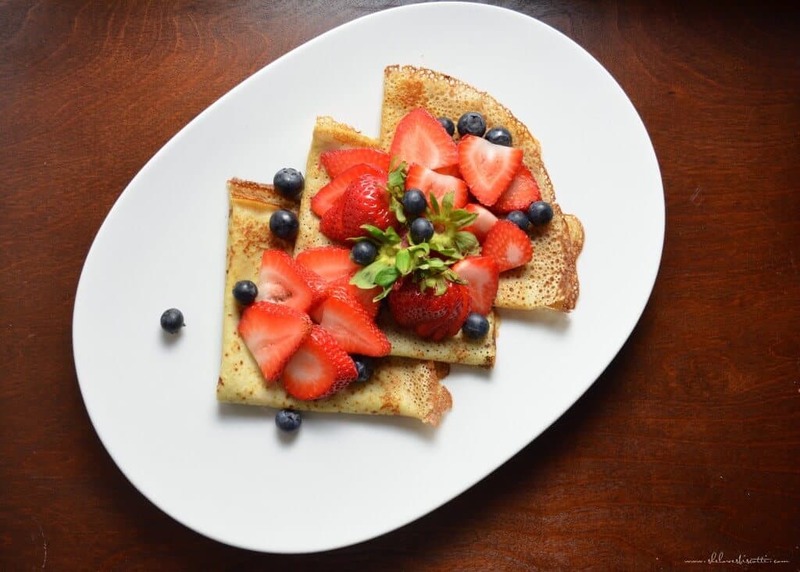 You can enjoy them plain, or use them as the base for some truly wonderful desserts: Homemade Cheese Blintzes (my personal favorite), Crêpes Suzette, crepe cakes, and so many more! Top them with syrup! With strawberry jam! With ice cream! With Simple Marinated Strawberries! With fruits and icing sugar! I’m just getting started, you know… the list of stuff you can do with crepes is endless, and I haven’t even mentioned the savoury dishes yet! And it all starts with a simple crepe recipe. Is there anyone out there that can resist a crepe? I remember, when I was in my late teens, my cousin Mary and I would go shopping in downtown Montreal and we would often have crepes at a place called “The Magic Pan”. Does anyone remember this chain of restaurants? So many choices and all with crepes! Honestly, I was more excited about eating the crepes than going shopping. I think that’s where my addiction to crepes began. Thanks, Mary!!! Another thing to love about crepes is how easily they can be frozen. Once made, separate each crepe with a piece of wax paper, wrap your bundle in plastic wrap and freeze. This is a lifesaver when unexpected guests arrive and you are short on time for dessert. It’s amazing what a little ice cream, cut-up fruit, crêpes and 5 minutes can do. 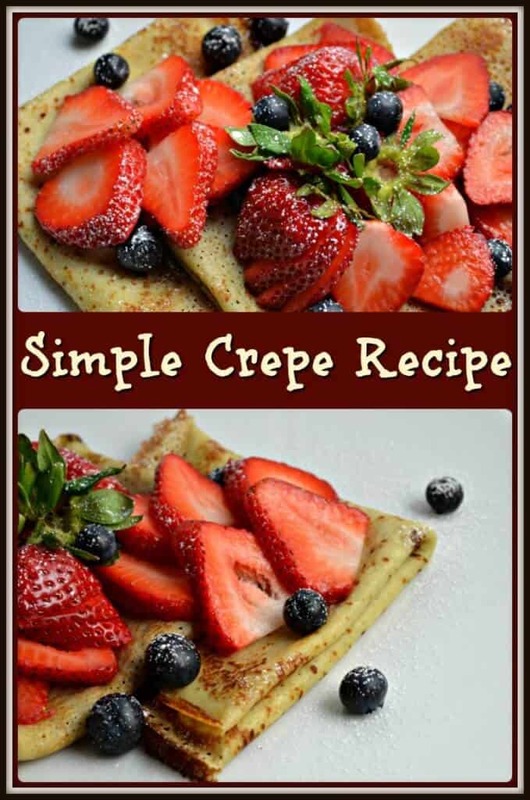 I have tried so many variations of crêpe recipes but I stopped looking when I found this recipe from Epicurius. As usual, I’ve decreased the amount of sugar and salt. Those of you that know me, know that I will always try to substitute olive or vegetable oil whenever the recipe calls for butter. But the purists out there will be happy to know that I left the butter in this Simple Crepe Recipe. Easy to make, enjoyed as a sweet or savoury food, convenient and versatile. That’s why you need to have a Simple Crepe Recipe. Easy to make, enjoyed as a sweet or savoury food, convenient and versatile. That's why you need to have a basic crepe recipe. Combine the warm milk and eggs in a blender. On medium-high speed, mix until light and airy. Through opening, add sugar and salt. Replace feed. Turn the speed back to high and blend for about 1 minute. Turn speed back to low. Add butter, brandy, and vanilla. Alternate going from low to high speed after each addition. Strain the batter through a fine mesh. Place crepe pan over medium-high heat. Brush pan with melted butter with a pastry brush. Pour 1/4 - 1/3 cup batter in smoking hot pan. Try to pour and tilt the pan in order to thinly spread out the batter. Cook for 1-2 minutes or until bubbles begin to form. Crepes are done when slightly browned. You may have to play with the heat if they brown too quickly. Give the batter a quick whisk and repeat until all batter is finished. Crêpes can be made in any pan, but a crêpe pan is preferable to obtain uniform shape. Perfect ration for dry to wet ingredients. I did not add the brandy but I did add orange zest. So good. This dough can be left in the fridge for a week, easy to make quick crepes for breakfast. Thanks for the perfect crepe recipe. Definitely trying this one! I love crepes! Hi Sirena, Let me know what you think…thanks for the comment!! !